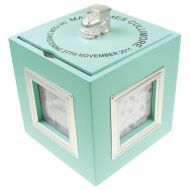 Musical Photo Frames. 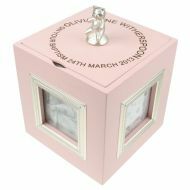 Pink Cube frame and Keepsake Box for a Girl and Blue for a Boy. 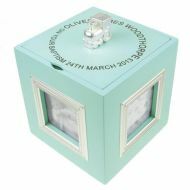 The lid of the Frame/Keepsake Box is laser engraved as an occasion based (such as a Christening) Keepsake.